It's tub tales time! Join Astro Duck on a counting space adventure. One duck, two duck, three...bath time is about to be tons of fun with Munchkin's Soapy Stories™! 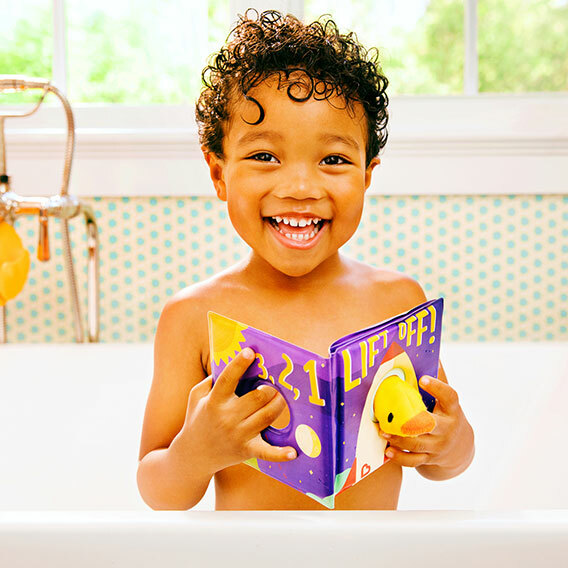 Astro Duck tells your tot a bathtub tale - teaching them all about planets and counting. Go on a space journey during bathtime and know that your child is learning language and hand and eye coordination! This bath book is mildew resistant and dries quickly for easy use again and again.